The Elephant in the Room in Foreign Minister’s speech was the Complete Omission of Accountability. The Transnational Government of Tamil Eelam (TGTE) issued a response to the Sri Lanka Foreign Minister’s address to the 37th Session of the UN Human Rights Council, as it has been doing since 2015. In the response, the TGTE first addressed the Sri Lankan Foreign Minister’s stated “achievements” and pointed out the corresponding facts on the ground in relation to each of those. The response demonstrates that the Foreign Minister’s speech was marked by duplicity and a number of promises yet again, in addition to the promises made in the Universal Periodic Review. It is the opinion of the TGTE that if words of commitment are diplomacy’s currency, then the international community must finally come to terms with the fact that the Sri Lanka’s diplomatic currency has been grossly devalued to the point of approaching bankruptcy. The Response points out that the elephant in the room in Foreign Minister’s speech was the complete omission of accountability. The Response notes that UNHRC adopted a resolution on Myanmar on the same year (2015) it adopted the Resolution 30/1 on Sri Lanka. Noting the Rohingya ethnic cleansing acknowledged by the High Commissioner, the Response issues a sober warning on the consequences of failure to change the tack with respect to impunity in Sri Lanka, as already demonstrated by the continuing sexual violence and torture against Tamils and the recent communal violence against the Muslims. Emphasizing that the state of Sri Lanka, a vessel of Sinhala extremism, will never mete out justice for Tamil victims, the Response states that the referral to the UN Security Council with recommendation to refer it to International Criminal Court as an immediate need. The Response also points out that this suggestion is not made lightly. The Response notes the Code of Conduct proposed by the Accountability, Coherence and Transparency Group (ACT) calling the member states restrain the use of veto with respect to war crimes and crimes against humanity and genocide. It also notes the UN High Commissioner’s suggestion for a special court with support of international practitioners in response to Sri Lanka’s failure to demonstrate willingness and capacity to engage in accountability process. TGTE notes the above two developments as giving an impetus to the call for referral to the ICC. Therefore, the HRC should refer Sri Lanka’s failure to provide accountability for atrocity crimes to the Security Council, with the recommendation that the Council refer Sri Lanka to the International Criminal Court (ICC) as it did with respect to North Korea. The HRC must continue to be seized with the implementation of Resolution 30/1 and 34/1, including recommending to member states that they impose calibrated sanctions corresponding to progress on implementation of the commitments Sri Lanka made in those Resolutions. 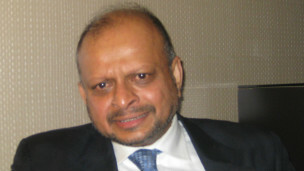 TGTE emphasizes here that the transitional justice in the form internationalized adjudication will contribute to level the playing field between the Tamil victims and the state of Sri Lanka, the warhead of Sinhala dominance with respect to fourth pillar of transnational justice, namely, non-recurrence. While pointing out that historically it was grassroots movements, civil society, media, academic and practitioners who were the pioneers, and not the States in human rights law, the Response calls on the large and politically active Tamil diaspora in various countries, along with civil society in those respective countries, to convince the host states to reason and move forward to refer Sri Lanka to the Security Council with the recommendation to refer it to the ICC. It also urges the Tamil Diaspora and the civil society to submit the necessary evidence to the Attorney-General department of the host countries to initiate prosecution under Universal Jurisdiction.The Response concludes by calling for strategic vision, unwavering commitment with passion and coordinated action by the Tamil Nation. The Statement of the Foreign Minister of Sri Lanka, Mr. Tilak Marapana’s address to the 37th Session of the UN Human Rights Council (HRC) is the latest actin Sri Lanka’s persistent refusal to provide accountability for serious crimes during and after the armed conflict that ended in 2009. It also indicates a repudiation of its assurance to the international community that such crimes do not take place again. As demonstrated by the statements of UN High Commissioner for Human Rights,ZeidRa’ad Al Hussein, and Deputy High Commissioner Kate Gilmore, along with the observations and statements of member states, the international community has become aware of Sri Lanka’s deceptive acts. It would be of benefit to the international community if the Tamils also set the record straight. The Foreign Minister very conveniently avoided referring to the setting up of special courts and the participation of international judges and prosecutors to investigate war crimes, crimes against humanity and genocide committed by Sri Lankan state against Tamil civilians. This document contains TGTE’s comprehensive response to the ‘achievements’ cited by the Foreign Minister as an attempt to set the records straight. TGTE’s Response: As we stated in our Mid-Term Report Card, the OMP is in our view an institution created purely to pretend to the International Community that action is being taken. The establishment of the OMP should be viewed in the context of comments made by Prime Minister Wickramasinghe in 2015, stating that most of the disappeared were dead, without any reference to how, when and where he received that information. In 2016, the Prime Minister also said that ‘most of the disappeared’ had gone abroad. The obvious question then is what purpose does the establishment of the OMP served if the Prime Minister already knew what happened to the disappeared. Tamil victims were not consulted in setting up of the OMP, there is no link to a judicial process, there is no mandate to inform families of its findings, and there is no ability to solicit funding or expertise from abroad. TGTE’s Response: No official statistics is available on how much land has been returned, although we know that 70% is a gross exaggeration. This alone is a black mark, in our view, for aGovernment that does not maintain official public records. Although 133 acres in Keppapilavu were finally returned by the Sri Lankan Air Force after almost a year of protests by the families, much more remains to be released. There were side events held in Geneva at the HRC Sessions earlier this month at which some of the Keppapilavu activists also participated. There is vast acreage occupied by the Sri Lankan Army in Valigamam, Jaffna which remains as a High Security Zone, of which only bits and pieces have been given back. Land in Muttur, Trincomalee District, taken over as part of Economic Development Zone from private citizens, have been returned only in part. It is also to be noted that the Deputy High Commissioner of the HRC, in her report, used the term “land-grab” to denote military occupied lands in North-Esatern Sri Lanka. The OMP Act specifically stresses that the confidentiality of information given to the OMP cannot be challenged by using RTI: “The provisions of the Right to Information Act, No. 12 of 2016, shall not apply with regard to such information” (Part III Clause 15). Therefore, although the law sounds great in its practical aspects, in its application to victims’ human rights concerns it has serious restrictions. TGTE’s Response: The Optional Protocol itself only facilitates international and national visits by independent bodies to places of detention to see if torture is taking place and all information on detainees is to be made available to them. Whether this in itself will prevent torture is questionable since Sri Lanka signed CAT in the 1990s and, despite periodic reviews by the CAT Committee and visits by the Special Rapporteur on Torture in the past, torture has continued unabated. TGTE’s Response: As the High Commissioner (HCHR) has stated in his Jan. 25, 2018 report, no such legislation has even been introduced. HCHR also stated that reparations must be accompanied by an acknowledgment of responsibility. The President and the Prime Minister of Sri Lanka have repeatedly said that no war crimes have been committed. Despite a presidential pledge to release names of people in government custody, particularly those forcibly disappeared since the war’s final months in 2009, the list was not produced. The government enacted a law to give effect to the International Convention for the Protection of All Persons from Enforced Disappearance, but made clear that the law would not be retroactive. TGTE’s Response: Although Sri Lanka’s accession to these Conventions is to be welcome, there is no mention of the thousands of innocents who were maimed by the use of these landmines and cluster munitions, particularly during the final phase of the armed conflict or about their care. TGTE’s Response: Meetings have been held. However the recommendations of the OHCHR and Rapporteurs have not been carried out. TGTE’s Response: The Prevention of Terrorism Act (PTA), which primarily targets Tamils, has not been repealed. The draft legislation submitted by Government of Sri Lanka has been heavily criticized by civil society as being more draconian than the PTA. TGTE’s Response: What is being referred to here is adocument which is no more than a compendium of intentions. Over the years Sri Lanka has established itself as being rich in declaring its plans, but rather poor in keeping its word and in follow up implementation.The promises made in relation to implementationof Resolution 30/1 and how they have not been followed through stand out as classic Sri Lankan performance. So, why should anyone believe any part or whole of this initiative? Furthermore, there is no mention of international judges or hybrid court in the Plan, all of which go against the demands of Tamil victims and those by the international community, including what is in Resolution 30/1 and the 2015 OISL report. TGTE’s Response: Every country in the UN including North Korea participates in Universal Periodic Review (UPR). Considering the participation in the Universal Periodic Review as an achievement for his country demonstrates the stark reality of the Foreign Minister not having much progress to report. It should be noted that during the review 178 specific recommendations towards improvement were made to Sri Lanka. TGTE’s Response: The fact of the matter is that a Truth Commission has not been established yet, even 3 years after Res. 30/1, and absolutely no information about it has been made public. The Sri Lankan Government’s Foreign Minister’s speech is distinguished by the promises made to the Human Rights Council. Not only did the Sri Lankan Government make promises in the speech, but also in the UPR. It is the opinion of the TGTE that if words of commitment are diplomacy’s currency, then the international community must finally come to terms with the fact that the Government of Sri Lanka’s diplomatic currency has been grossly devalued to the point of approaching bankruptcy. The International Community need look no further than current crisis in Myanmar-what the UN High Commissioner for Human Rights ZeidRa’ad Al Hussein called a “textbook example of ethnic cleansing”-to be reminded of the grave cost of overestimating a government’s promises, underestimating the risk of crisis escalation, and delaying making necessary changes in strategy. As the HRC did with Sri Lanka in 2015, it also addressed human rights violations committed by the Government of Myanmar the same year (A/HRC/RES/29/21). Within 1.5 years of that resolution being adopted, in July 2015, the concerns expressed within Resolution 29/21spiraled into grave breaches of international human rights law and into an international humanitarian crisis detailed in Resolution S-27/1. The parallels between the current states of persecution in the two countries, Sri Lanka and Myanmar, is harrowing at a minimum. The more accurate assessment is that the recent ongoing situation in Myanmar is a sober warning of the consequences of inaction on the current situation in the island of Sri Lanka, particularly with regard to ongoing sexual violence and torture against the Tamils and the communal violence against the Muslims. While the Sri Lankan government mentioned its “achievements,” the complete omission of the accountability process in the speech is the elephant in the room. Not only did the Foreign Minister omit to mention accountability, the Sri Lankan Government has brazenly repudiated its commitment to the Human Rights Council with respect to accountability. Evidence that the Government of Sri Lanka is unwilling to hold perpetrators accountable includes, but not limited to, the fact that in Sri Lanka members of government retain their political positions (i) despite credible evidence of culpability in the atrocity of crimes committed during the Sri Lankan Civil War, and (ii) after public exhibitions of abuse of power. For example, on March 23, 2017—the same day that the HRC adopted Resolution 34/1 to extend Sri Lanka’s timeline for implementing the transitional justice mechanisms outlined in Resolution 30/1—President Sirisena promoted Major-General Shavendra Silva, commander of a unit allegedly implicated in war crimes during the final stages of the conflict, to Chief Administrative Officer of the Army. Then, only a few months later, in September 2017, President Sirisena made the revealing and infamous statement, “I state very clearly that I will not allow anyone in the world to touch JagathJayasuriya or any other military chief or any war hero in this country.”The manner in which the President made this statement, while addressing a convention involving the army, makes it amply clear that for him subservience to the Sri Lankan armed forces ranks higher than a commitment to justice, despite whatever he or members of his government say, or whatever resolutions they claim to support when in the presence of fellow Member States. It is to be noted further that under the current Sri Lankan dispensation, at present Muslims are also under systematic attack and mob violence.In early March 2018,Sinhala Buddhist mobs attacked dozens of Muslim businesses and houses, and at least one mosque in the central district of Kandy. At least one person was killed and many injured. What this goes to show is simply is the fact that Sri Lanka remains completely unreformed as far as the administration’s attitude towards nations and nationalities in the country are concerned– they are to be relegated to the status of second-class citizens and kept in perpetual fear, anxiety and being dispossessed of their basic human rights. After the genocide carried out against the Tamils, it seems that it is the turn of the Muslims of Sri Lanka to bear the brunt of the country’s racist policies. There is a lesson here for the international community also, in that, weak and ineffective steps to ensure justice for the Tamils will only embolden Sri Lanka to continue with its atrocities against both the Tamils and the Muslims. It is time for the world to step in and stop this injustice. In light of the total repudiation of Sri Lanka’s commitment to the HRC outlined above, what the international community must reckon with now is the fact that Sri Lanka will never deliver on its commitments made to fellow UN member states to hold the perpetrators of atrocious international crimes accountable. Therefore, the situation in Sri Lanka must be referred to the Security Council without delay so that the Council may exercise its Chapter VII powers outlined by the UN Charter and refer the Sri Lankan situation to the ICC, which now remains as the only forum capable of bringing an end to the institutionalized impunity in Sri Lanka and its threat to international peace and security. It is said in some quarters that the states on the UN Security Council (UNSC) may not support the above initiative. We wish to emphasize here that the history and the evolution of human rights law and transnational justice demonstrate that it was the people and not the states who are initiators of human rights law. For example, the establishment of the International Criminal Court or the transnational justice mechanisms in Latin American countries were not initiated by the states, they were initiated by the people. States were the followers of people power. Moreover, TGTE also believes that the initiatives introduced in the Security Council recently are conducive to the referral of Sri Lanka to the ICC. On October 23, 2015—exactly 9 days after the adoption of Resolution 30/1—the Accountability, Coherence and Transparency Group (ACT) launched its code of conduct, calling on Member States to “pledge to support timely and decisive action” by the Security Council when it comes to resolutions aimed at preventing and ending war crimes, crimes against humanity and genocide. States that commit to the pledge agree not to vote against credible draft resolutions intended to end or prevent atrocity crimes. When ACT first convened a ministerial-level presentation of the code at the UN headquarters on October 1, 2015, 56 Members States, including two permanent UNSC Members (France and the UK) possessing veto power expressed support. As of February 12, 2018, 115 Member States and 2 Observers have signed on to the code of conduct, more than doubling the initial number of adopters. The notable momentum behind the ACT Group’s Code of Conduct is concerning Member States agreeing not to vote against credible resolutions that seek to prevent or end atrocity crimes.As the High Commissioner for Human Rights pointed out in his opening speech to the HRC, the Security Council recently passed a Resolution calling for cease fire in Syria. The Resolution on Syria, where major powers have conflicted,and geopolitical interests passed without the use of veto,emboldens our call for referral to the ICC. Also, the UN High Commissioner’s explicit call for a special court supported by international practitioners, as a response to Sri Lanka’s failure to demonstrate the willingness or the capacity to address impunity, demonstrates to us that Sri Lanka can be taken up by the Security Council. Transnational justice in the form of international adjudication will contribute to leveling the playing field between the Tamil victims and the Sri Lankan state, the warhead of Sinhala Buddhist dominance. Taking no action towards international adjudication will be a strategic disaster in the struggle to realize the fourth pillar of transnational justice, namely, non-recurrence. Member States of the UN Human Rights Council should take firm steps to ensure that Sri Lanka fully implements its commitment to UNHRC Resolution 30/1, by March 2009, as stipulated by the Resolution which was cosponsored by Sri Lanka itself. The large and politically active Tamil diaspora, through their determination, dedication, knowledge, and above all, the sheer willpower, can make Governments in their respective countries listen to reason. They will move forward to refer Sri Lanka to the Security Council, with the recommendation to refer it to the ICC. We call upon the Tamil Disapora to provide the necessary evidence to the Attorneys General Departments in their respective host countries to bring prosecutions under Universal Jurisdiction. When the grandchildren of today’ Tamil parents ask in the future what they did to advance the wishes of a 1.6 million people who called for referral of Sri Lanka to the ICC, and what was done to take up the UN High Commissioner’s call for a special tribunal supported by international practitioners as a response to Sri Lanka’s unwillingness to engage in accountability process, we may not be able to answer them looking in their eyes, if we fail in this task history has entrusted upon us. The call of the hour is strategic vision, unwavering commitment with passion, and unified action.